I try to eat a big salad every day for lunch, and though I don’t always succeed, I feel much better on those days that I do. 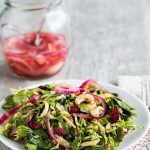 As you can imagine, eating the same thing every day could get boring; for me, the key to keeping it exciting is not so much in changing the salad ingredients but in jazzing up those ingredients with different salad dressings. Though I know that people can be very set in their ways when it comes to dressings, I’m not a stickler for any one type of salad dressing. Thick or thin, creamy or vinegary, tart or sweet–I like all types, depending on my mood and the contents of my fridge. I just require that dressing be tasty, fresh, and low in fat. This dressing meets all of those requirements. It’s sweet and tangy in the right proportions and gets its thickness and body from fresh blueberries rather than from added fat. I used my Vitamix to blend it to almost-smoothness (the tiny blueberry seeds remain unblended, as you can see from the photo below) but any blender that’s capable of pureeing small quantities should do the trick. Drizzle it over a bed of fresh lettuces sprinkled with tomatoes, walnuts, and a few whole blueberries for a summertime-only treat. 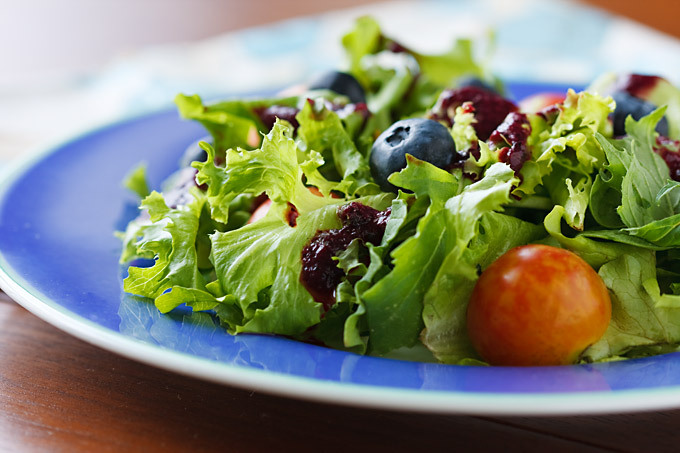 Due to the blueberries’ natural pectin, this dressing will quickly begin to gel after a few minutes. Use immediately or blend in additional liquid to make it pourable. Puree all ingredients in blender until relatively smooth. Drizzle over salad and serve. This looks great! I love fruity dressings! I try to eat a salad everyday too, but it does get boring… I’m sure this will help! This looks amazing. 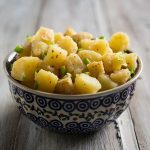 Summer is the season of salads, and once I’m done going through the huge batch of your goddess dressing a made a few days ago, I’m definitely going to give this a try. Mmm, that looks really good! I love fruit-based salad dressings! Ooh another use for my Vitamix… and the plethora of fresh blueberries taking over our fridge! I’m the same way about my daily lunch salad, and I still look forward to them everyday. A fruity dressing is a nice change of pace. I’ve never made a blueberry dressing though. This looks wonderful! 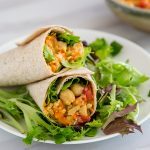 I’ve finally managed to get into the habit of eating salad for lunch each day – I did it by writing it in my diary every day for a couple of weeks – worked for me because I usually obey my diary! My favourite dressing at the moment is a big dollop of tahini (not fatfree, I know, but a wholefood), a squirt of tamari and a few drops of liquid smoke, all thinned down with water. Unbelievably delicious! This looks great and sounds delicious–guess I’ll be buying some more blueberries at the farmer’s market next week! I’m curious, too, if I could try it with my raspberries as well, maybe smashing some through the food mill first to hold back some seeds. . .I’ll let you know if and when I experiment. . .they don’t have as much pectin as blueberries so the consistency would be different. . .
That dressing sounds amazing and it is such a pretty colour that you would just want to eat it right away. Ooh, delicious. Wild Maine blueberries will be here next month, and this will be a perfect way to use them. But why summertime only? I think this would be just as great made with frozen blueberries during a snowstorm. I absolutely can’t wait to try this dressing out! Oh! Holy yum! Thanks, Susan! I love trying new dressings, even though I have my favs (cough, back-to-basics maple balsamic from ed&bv!). The nutrition stats are GREAT on this, and I have plenty of frozen blueberries right now. Blueberries are my favorite. I am planning to go picking this weekend and will have to try this. Great idea! This salad looks amazing! Strawberries go well with vinaigrette too. Good sweetness to a bitter balsamic! Excellent! I just got fresh blueberries in, so I was pleasantly surprised to find them a main feature in your latest recipe. Thank you, Susan. This looks simple and yummy. I suppose it could be done using any berry. Looks like something in the ETL book, but i like that its much simpler with just a few ingredients. I love giving my readers quality options. Mmmm. I love the colour!! Thanks so much for this recipe! I am always looking for new ideas for salad dressings and this one looks gorgeous. What a beautiful and delicious way to dress a salad! I would love to make this. Dear Susan, This comment has nothing to do with the blueberry dressing. But it sure does look delicious! I hear you on the big-salad-each-day thing! Even if it’s not replacing a meal, but in addition to it, it has tremendous health benefits. 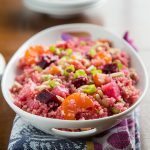 Your dressing looks beautiful, and I’m so jealous that you have a Vitamix! This dressing looks incredible, I can’t wait to try it!!! I’ve tried this dressing just now for my “evening salad”…I don’t know what a Vitamix is, but I made it with my hand-blender. Really, REALLY delicious – thanks for the recipe! This looks incredible…..am sure it’ll taste even better! What a nice change from the regular dressings! Thank you so much for posting this! I am a huge fan of blueberries and low fat things so I am looking foward to making this. 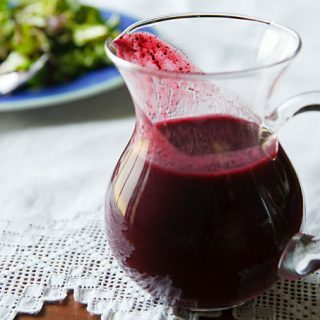 Mmm, used pomegranate juice in place of the apple juice and soygurt and had a fabulous pomegranate-blueberry vinaigrette on my salad! Perfectly summery and blueberry-y! This was really good. 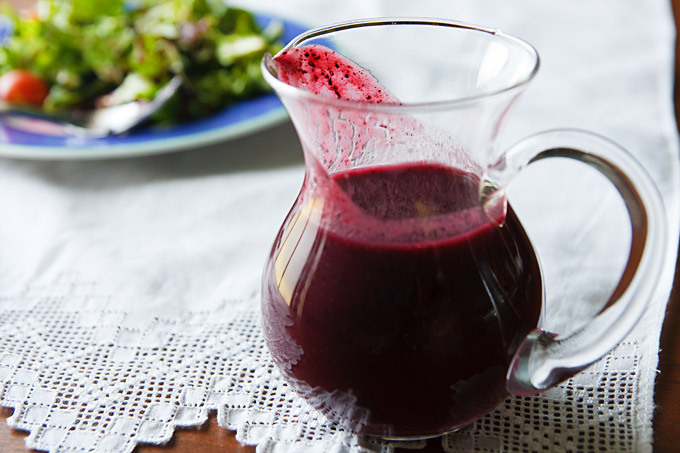 I love blueberries (both in baked goods and au naturel), and thanks to this vinaigrette I can also enjoy them for dinner now. Thanks! I was wondering if this recipe would work with cranberries, too. I don’t have enough blueberries in my fridge, so I’m thinking about trying with other berries (for a change!). I had to report back! I went ahead and used cranberries instead of blueberries (and organic pear juice instead of apple juice) and the result was lovely, too. I’ve just made this and it’s gorgeous! It’s taking almost all of my willpower to not just drink it straight out of the blender. I used mixed frozen berries as blueberries are very expensive here in England, however it is still going to be great mixed with leaves, chopped apple and walnuts.